This Original has been SOLD! You can still purchase Canvas Prints, Prints, jewelry and other products. Ahh, the Mad Hatter, cunning, clever, crazy and alluring. My depiction of the Mad Hatter is placed in a Victorian setting. 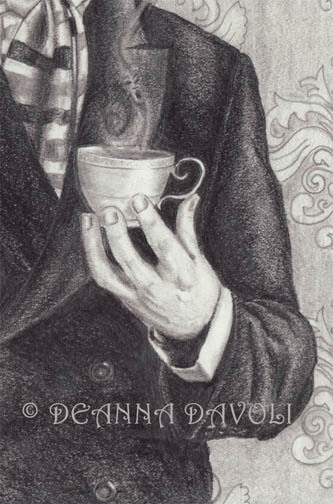 He waits for Alice holding his magical cup of tea. He does not appear insane and that is why Alice trusts him. *Special thank to *lindowyn-stock for the photo reference. 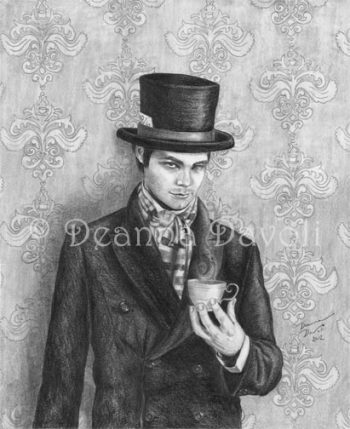 * This is the ORIGINAL Graphite Pencil drawing titled “Mad Hatter”. 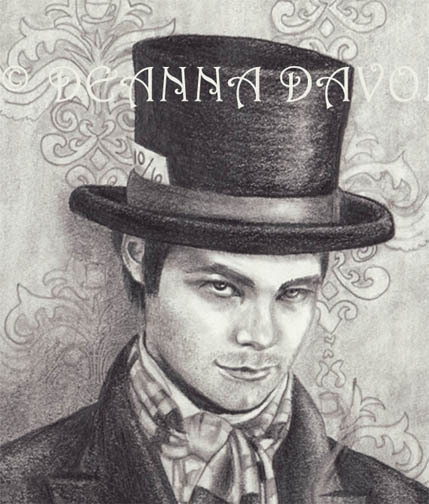 * If you are interested in purchasing multiple Wonderland original drawings, please email me at: davolideanna [!at] yahoo.com to discuss a discount. * I accept Payment plans on originals costing more than $100. 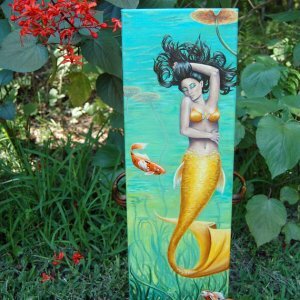 You must pay a NON-refundable 20% deposit to reserve an original piece of artwork. You can send me a convo or email me at: davolideanna [!at] yahoo.com to discuss this option. Original Artwork is shipping via USPS flat rate mail (if it fits). 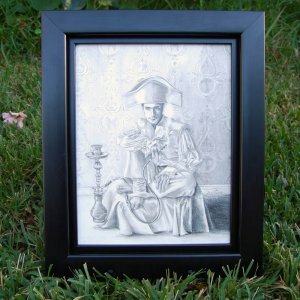 Insurance, delivery confirmation and signature confirmation are including in your shipping cost when purchasing an original.